The National Award-Winning Musical Celebrating "Diversity through Music!" FROGTOWN is an original musical series by Emmy-Winning Writer/Composer Philip Pelletier. FROGTOWN has won 2 National Gold Awards, been featured on THE GRAMMYS "Education Watch", and received rave national reviews for it's heartfelt story about a saxophone-playing tadpole who learns about cultural diversity and finding one's inner voice while developing empathy for others. 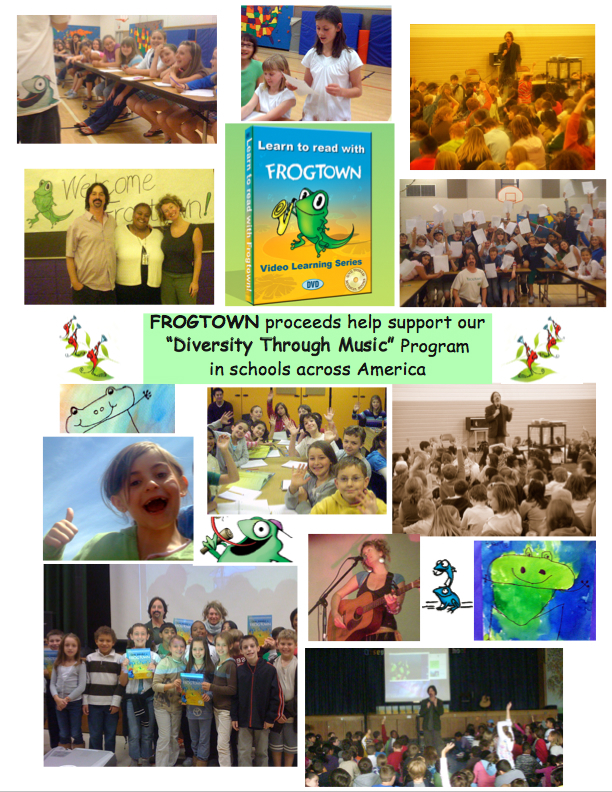 FROGTOWN's educational program "Diversity Through Music" has been shared with over 100,000 students, with glowing endorsements from educators, librarians, School Library Journal, and the OCTE (Oregon Council of Teachers of English).